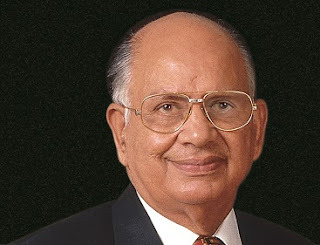 Om Prakash Munjal, Co-Chairman of Hero Cycles Ltd and a leading industrialist passed away here today. He was 87. Munjal breathed his last in the DMC Hero Heart Centre, his family said. He is survived by a son and four daughters. Munjal's cremation will take place tomorrow in the Model Town Extension Cremation ground in Ludhiana. From a modest beginning of bicycle spare parts business in Amritsar in 1944 with his brothers to being one of the largest bicycle manufacturers in the world, O.P. Munjal, known as the father of cycle industry in the country, scripted a successful business story. The Hero Cycles factory was set up in 1956 in Ludhiana with a capacity for producing 25 cycles a day. It now produces nearly 19,000 cycles daily. Listed in the 'Guinness Books of World Records' in 1986 as the largest bicycle manufacturer in the world in 1986, Hero Cycles commands nearly 48 percent of market share in the country's cycle market.